Can Interfaith Marriages Be Successful? 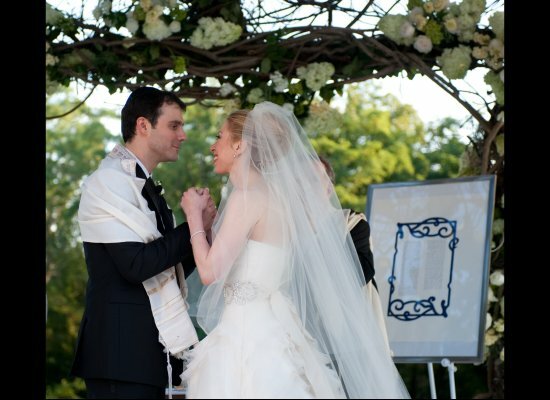 The high-profile but hush-hush wedding between Chelsea Clinton and Marc Mezvinsky is one of the most prominent recent marriages involving spouses with different religions. The ceremony involved a mixture of her Methodist upbringing and his Jewish heritage. Wishing the happy couple well, it does beg the question: do differences in matters of faith cause considerable marital conflict? The research and interviews I have done suggest that often faith and religious differences become more important as time goes on in a marriage. In particular, after children are born, even if the couple has previously agreed upon how to raise the children, the differences become more problematic. They disagreements can become significant enough to cause a major wedge in the relationship, with a risk of marital failure. Consider the difference between Judaism and Christianity. Some would say they are both theistic religions, and each partner could remain separately faithful to his or her traditions. The Washington Post discusses interfaith marriage with this couple in mind. The writers talk of how to create an interfaith wedding ceremony, which will be the “lead” religion in the home, and the importance of deciding in which religion the children will be raised. However, this article in Everyday Christian explains that since the deepest part of both of their religions is in direction conflict, the only way that they can be happy is if they really aren’t that religious at all. The author suggests, “I would argue that most people in America today do not hold much faith at all, except for a simple belief in a faraway, impersonal Creator God. This makes “marrying” religions, or traditions, seem easy enough: ‘We both believe in God. That’s all that matters. '” On the other hand, if couples in interfaith marriages place a great importance (now or in the future) on their beliefs and practices, the conflicts may become more apparent, and may impede their ability to live in complete unity. In other words, their spiritual and physical intimacy may be impaired. An even larger leap is for couples in which one practices a religions faith in God that is important to him or her, and the other is atheist or agnostic. I interviewed one such couple for my book. When they married, neither practiced any religion, although the wife had grown up in the Christian church and retained a faith in God. The husband was an unbeliever. After they had a child, she returned to her childhood faith and became a devout Christian. They spent years in conflict, trying to convince the other person of the error in their thinking. This attempt to convert one another to their beliefs caused many arguments, and their worldviews often came into conflict. The wife describes thems as being “unequally yoked,” a term from the Bible advising Christians and non-Christians not to marry. At long last (with strategies that will be detailed in my book), they were able to respectfully differ and agree on how to raise their daughter. They focused on why they chose one another, and treat one another with love and, above all, respect. Both of them, although they finally achieved a happy marriage, advise against marrying someone with whom you have fundamental differences in your belief system, because they say they came very close to divorcing despite their great love for one another. However, they offer hope to couples who are already married to someone with a different faith. They say it is certainly possible to be happily married despite these differences. It is just one more area of struggle that will take significant work, tremendous respect and careful communication so that each person feels loved, respected and understood. Every couple must make these decisions for themselves, but in my family I can’t imagine not sharing my faith with my husband and children. I appreciate that my husband can show spiritual leadership and that we are in agreement on spiritual matters. This helps particularly in times of crisis. What do you think? Are you married to someone who has compatible religious beliefs? If not, is this a significant issue in your life? If you do share a religious faith, is your common faith an important part of your marriage? This entry was posted in Family, Love, Marriage, Relationships and tagged better marriage, Chelsea Clinton marriage, different religions in marriage, interfaith marriage, intimacy, Marriage, marriage and faith, mixed religion family, unequally yoked. Bookmark the permalink. I think it depends on how devout each spouse is in his/her own faith. I don’t know Chelsea personally, but saying she came from a Methodist upbringing is almost like saying Tiger Woods was a devout Buddhist. Obviously her father wasn’t very devout in his beliefs, and neither was Tiger. If people are very serious about their faith, marrying outside of it can cause issues. Then again, I have two aunts who married outside of my faith and their husbands ended up converting. Seeing as how marriage is a religious institution, and if people take their marriage covenants seriously, I don’t know how it would be successful over the long term if their fundamental values and core beliefs were dramatically different. At one point, usually when children are born, the issue is bound to come up. It would certainly be confusing for the children. For me personally, I wouldn’t have married out of my faith for any reason (which I didn’t), but it can work for others. There is no blanket answer for this, and must be addresses on a per couple basis. Your analogy made me laugh. I agree with you. I have seen interfaith marriages work for some people, so there’s no blanket answer, but for those who are serious about their faith it can cause quite an obstacle. At the time of our marriage there was no question about the importance of finding someone who not only shared my belief in God and the basic tenets of the Christian faith, but I also wanted someone with whom I could partner all my life in the pursuit of God and his call on our lives. I found that person in my wife and am forever thankful that we have always more or less been on the same page in our faith walks. Thanks, Scott, for commenting on the importance of having someone to walk together in life and faith. I was in a relationship that was unequally yoked and needless to say, it was tough. And as the relationship progressed, I grew in my faith and started to see things differently from my partner who was of a different religion. We had different values. In the end, i found the pressures too much to bare and called it quits just before the wedding. Although I have interviewed other unequally yoked couples (believer and nonbeliever) who were eventually happy, I would not recommend that based on the stress and trials they endured. You are probably aware that the Bible advises against it. In my experience, true intimacy is difficult in these situations. Fortunately you realized this prior to the wedding. Best wishes.